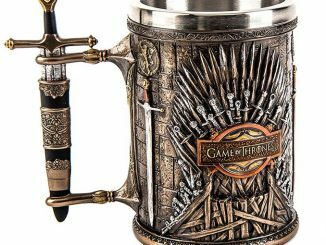 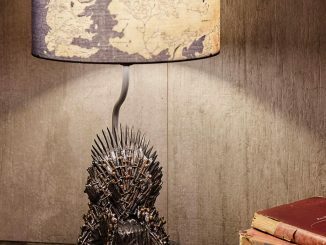 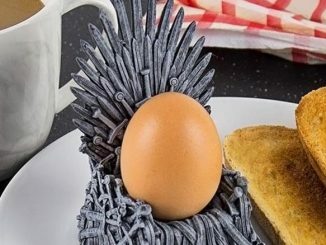 If you’re hosting a Game of Thrones party, wouldn’t it be amazing to have this Game of Thrones Iron Throne Standee as a photo op? 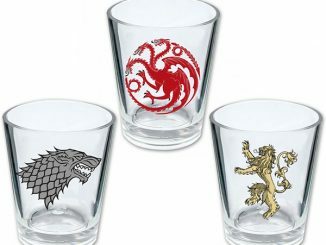 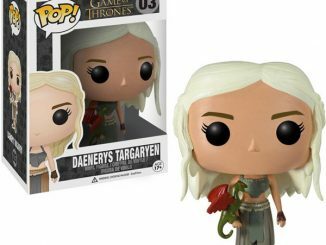 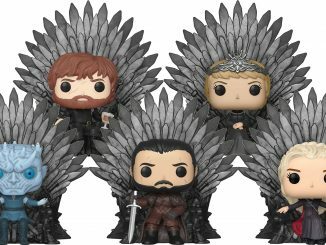 That way each attendee could take a picture looking like they’re the rightful heir to the Iron Throne just like Tyrion Lannister, Jon Snow, Cersei Lannister, Daenerys Targaryen, and the Night King do in these Iron Throne Funko Pop Figures. 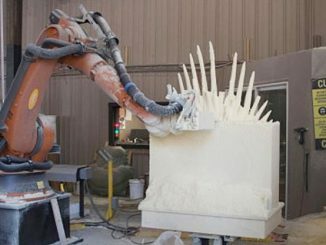 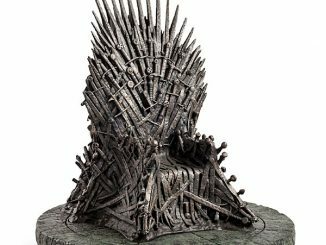 Standing 70″ tall, or almost 6′, this Iron Throne is 44″ wide and is die cut around each of the thrones spikes for impressive realism. 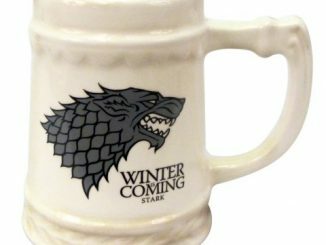 It is made in the USA and officially licensed. 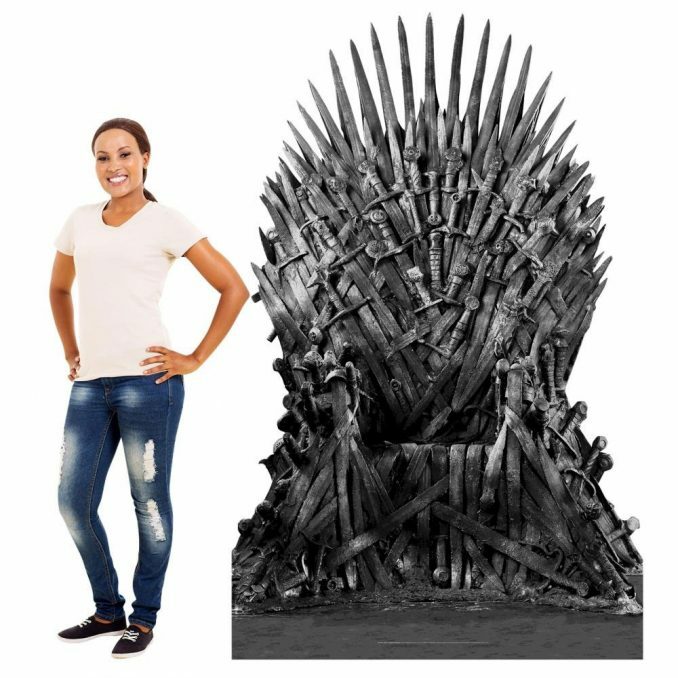 Bring the Iron Throne to your own castle with this nearly six-feet-tall Game of Thrones standee! 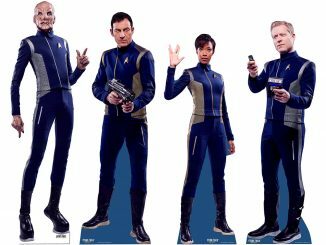 Perfect for home, dorm, or office, this standee measures 70″ tall by 44″ wide with an 8″ easel depth, and is die-cut around the throne’s individual spikes. 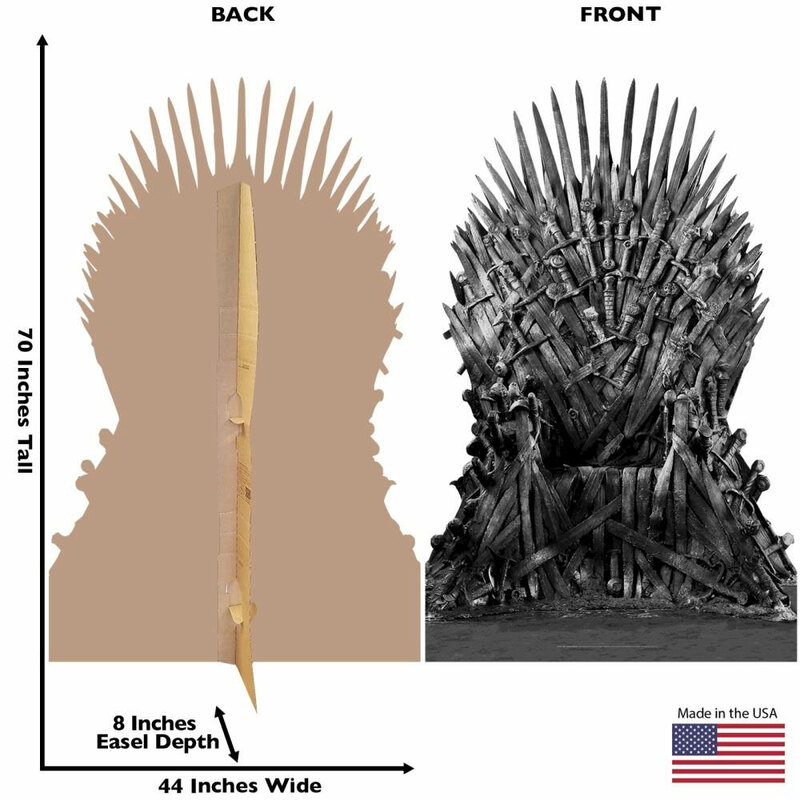 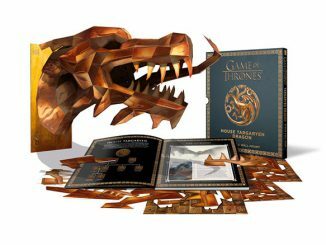 The standee is delivered folded in half; simply unfold, remove the throne itself from the surrounding cardboard, position the easel in the back, and you’ve got your own throne! 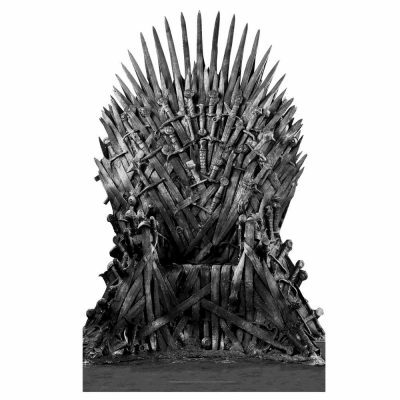 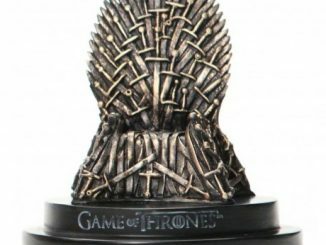 Purchase this Iron Throne Standee direct from HBO Shop for $39.95.